Proceedings will be published in Lecture Notes in Computer Science, Springer. Authors are invited to submit original papers via electronic submission. Details of the electronic submission procedure will be posted on the conference webpage when the system is activated. The submission must be anonymous, with no author names, affiliations, acknowledgements, or obvious references. It should begin with a title, a short abstract, and a list of keywords. The paper should be at most 12 pages (excluding the bibliography and clearly marked appendices), and at most 18 pages in total, using at least 11-point font and reasonable margins. Submissions not meeting these guidelines risk rejection without consideration of their merits. All submissions will be blind-refereed. Only original research contributions will be considered. Submissions which substantially duplicate work that any of the authors have published elsewhere, or have submitted in parallel to any otherconferences or workshops that have proceedings, will be instantly rejected. The IACR Policy on Irregular Submissions will be strictly enforced (http://www.iacr.org/irregular.html). 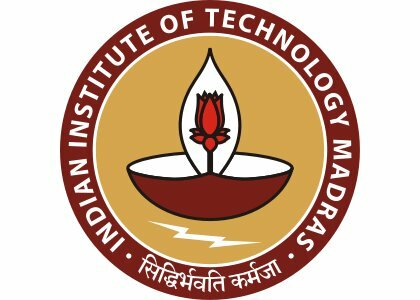 INDIAN INSTITUTE OF TECHNOLOGY MADRAS, CHENNAI.